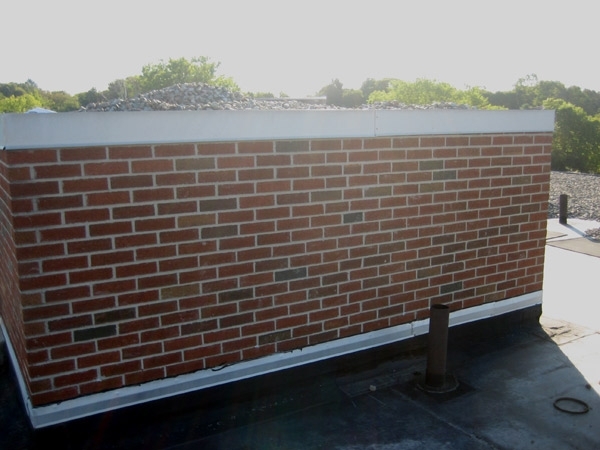 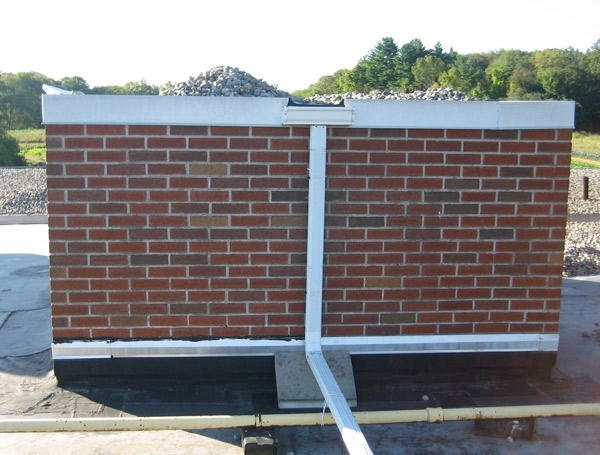 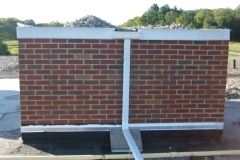 We have been maintaining a school system’s flat roofs for 13 years. 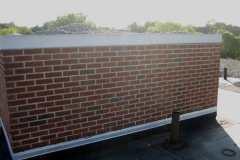 We have also maintained roofs for nursing homes, hotels and homes. 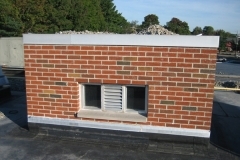 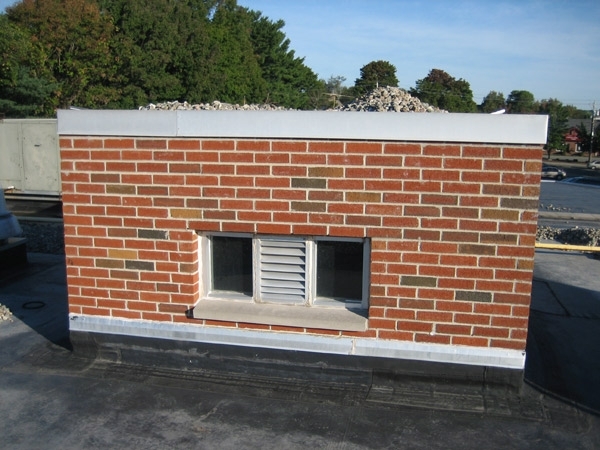 Shows existing elevator shaft brick wall which was leaking through the masonry. 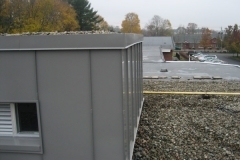 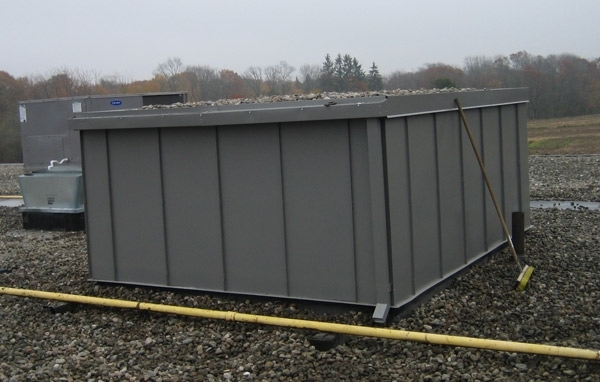 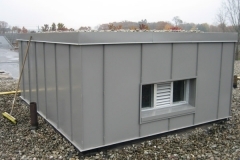 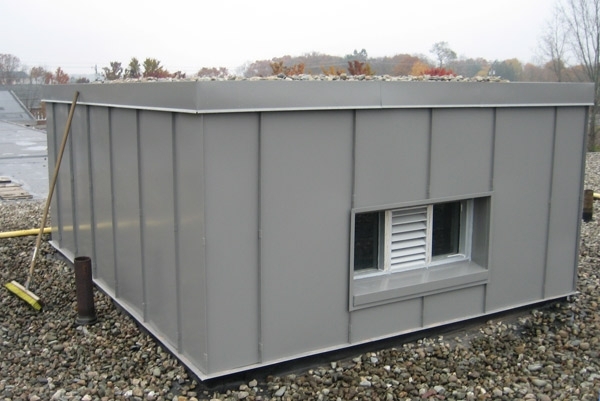 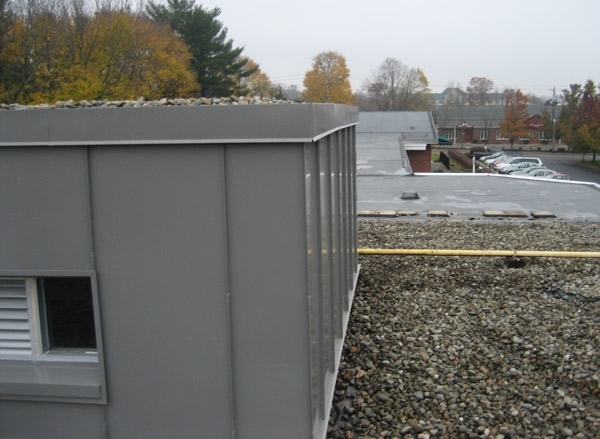 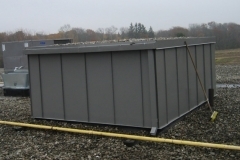 The wall was covered over with standing seam wall panels to solve the problem.